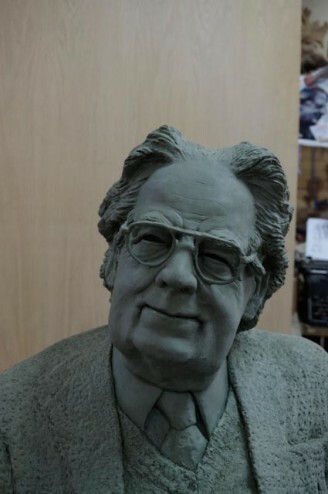 Fred Harrison & Darren Byers are at it again! 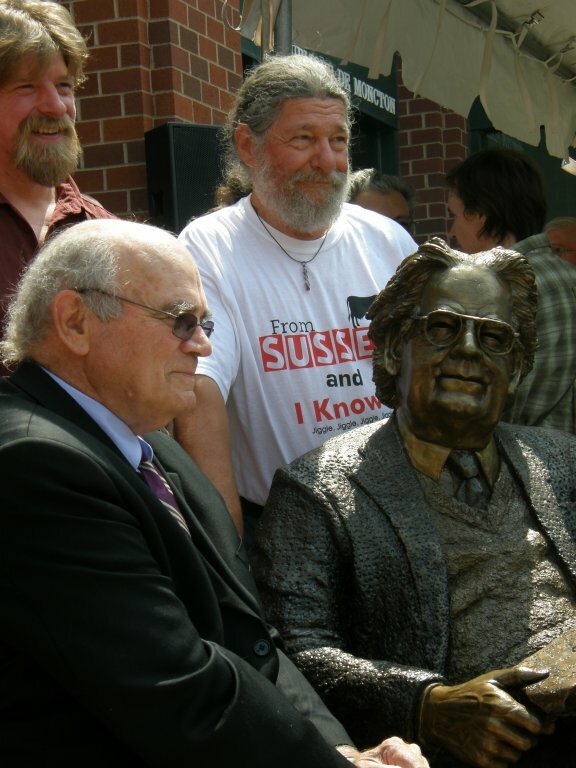 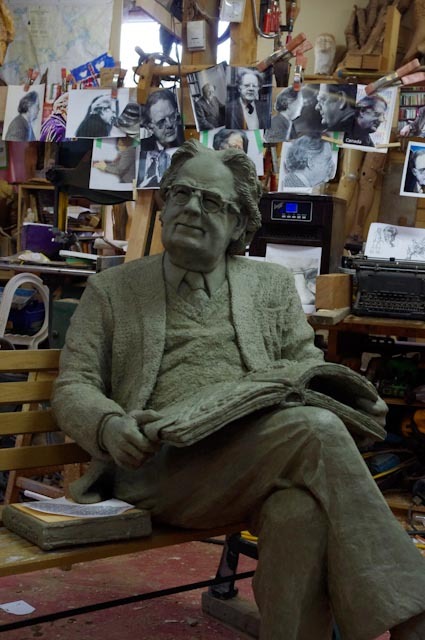 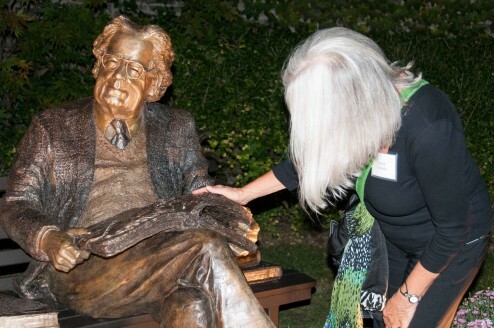 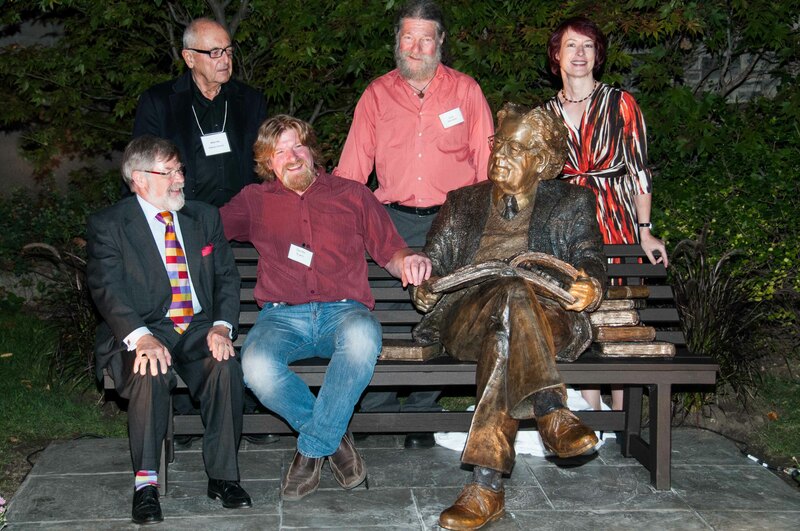 This time creating a likeness of Northrop Frye cast in bronze. 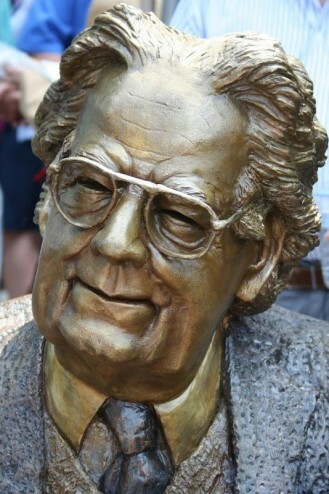 (Northrop Frye (1912-1991) was a Canadian literary critic and theorist, considered one of the most influential thinkers of the 20th century. 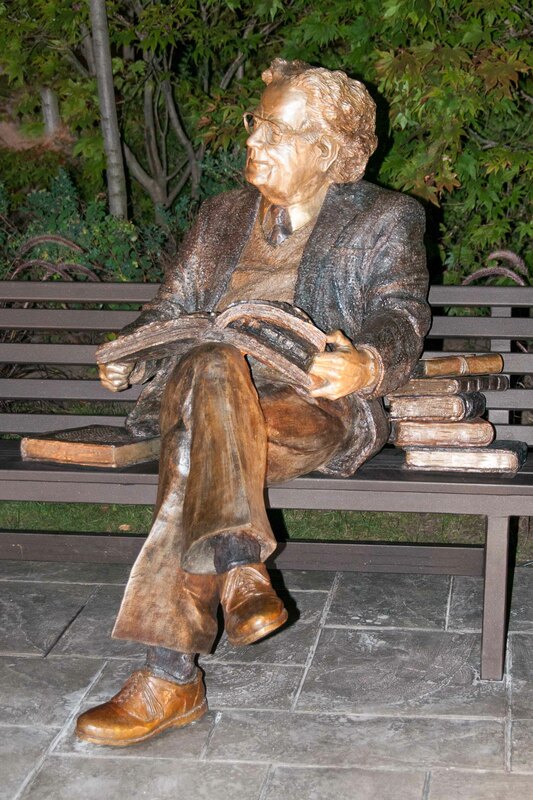 He spent his formative years here in Moncton, where he developed the ideas that he would go on to explore the rest of his life and where he established his deep commitment to an informed and civil society. 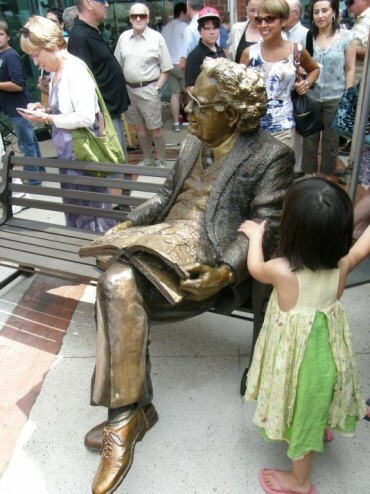 The little larger than life size bronze sculpture was unveiled outside of the Moncton public library, July 13th. 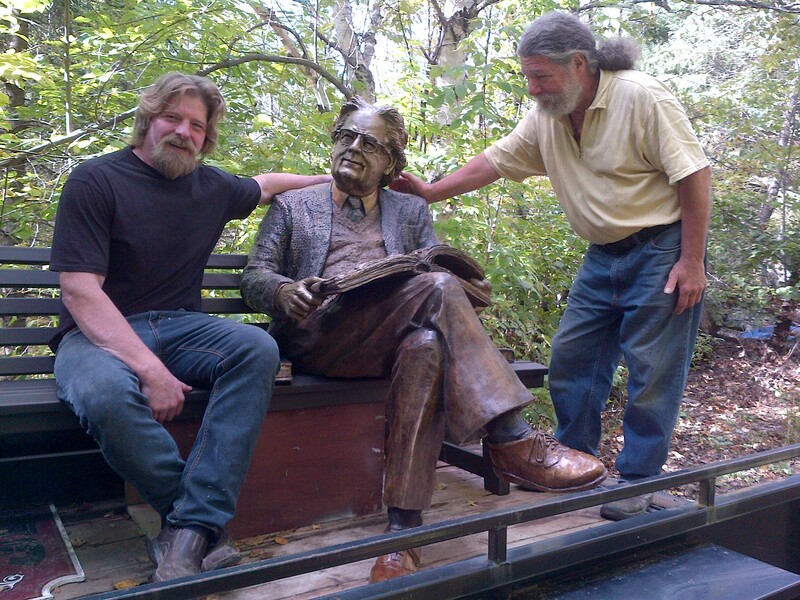 The Frye sculpture is sitting on an aluminum powder coated bench. 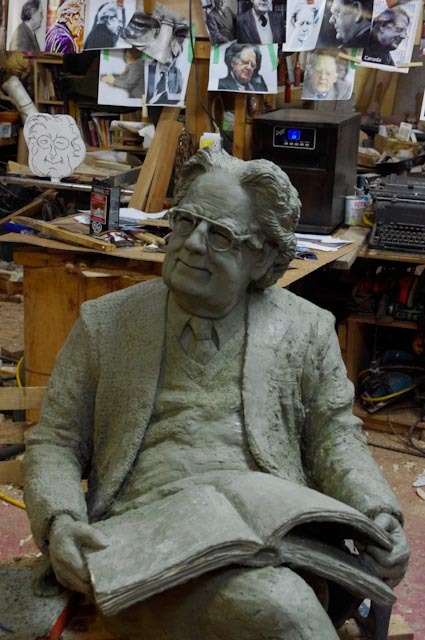 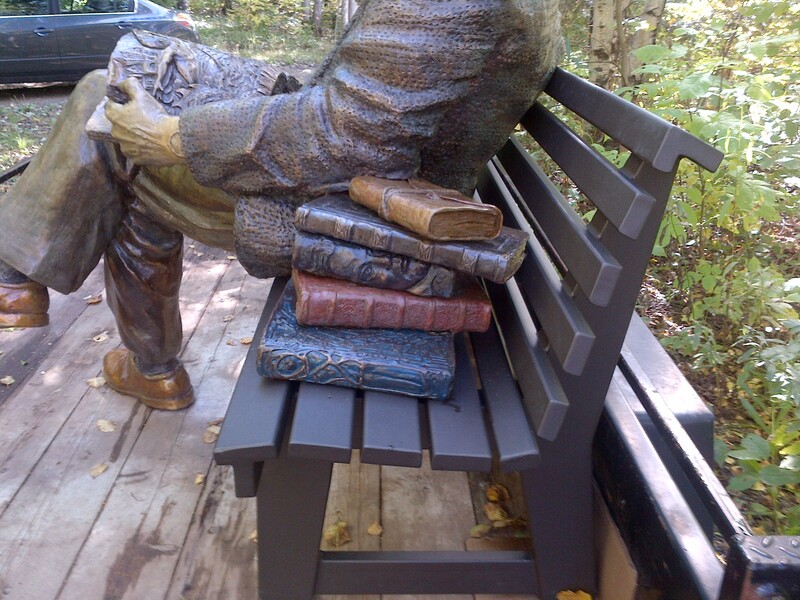 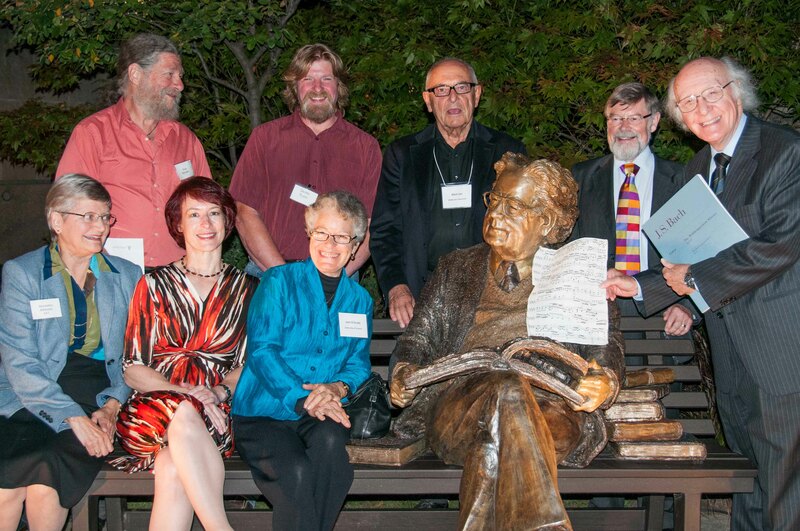 The Northrop Frye sculpture is sitting with a book in his lap and thinking of those formative years while he grew up in Moncton New Brunswick. The sculpture was awarded by the Frye Festival after an open competition for submissions. The direction of the committee was to have Northrop Frye sitting on a bench with a book. This is where we were able to get creative adding images that related to his early life and a few of the significant events that were a lasting part of his life. The bronze figure was cast at the Green foundry in Elliot Maine and Josh, Lauren and all the gang worked very hard to create an excellent casting. 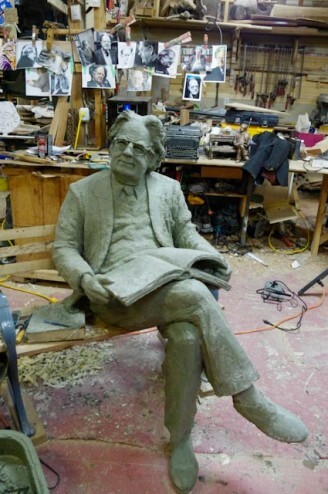 Byers Harrison studios INC. has been commissioned to produce a copy of Northrop Frye for Victoria University, in the University of Toronto, that was unveiled in Oct 2012. We have adjusted the images to reflect his time in Toronto and his years teaching at the university. http://www.news.utoronto.ca/content/remembering-northrop-frye Happy 100th Birthday Mr. Frye.